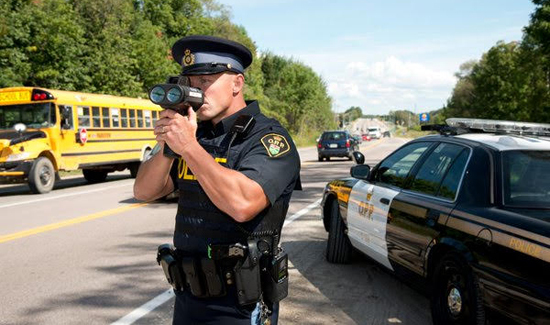 The Ontario Provincial Police Department in Canada is embarking on an “unprecedented” hiring spree and they are using social media and virtual ride alongs to attract potential candidates. “We will purposefully open the doors to the public, on a global scale, eliminate barriers to accessing what policing in this agency is about, and invite the best-qualified candidates to come serve our communities by joining a police service which is second to none,” said Inspector Bryan MacKillop, the director of recruitment for the Ontario Provincial Police (OPP). The virtual ride along offers a rare opportunity to enhance diversification and give people a taste of the OPP experience. They plan to do that with a “virtual outreach” through Twitter and Facebook. It begins TONIGHT—Wednesday, January 3—with a virtual ride-along from 6 pm to 11 pm. The public will be able to follow an officer, from call to call, over Twitter. On Feb. 10 there will be a “Breaking Barriers” live-stream with officers from different social and cultural backgrounds sharing experiences about their OPP careers. On Feb. 17, Commissioner Vince Hawkes will give opening remarks to the live stream of a recruitment information session about what it takes to be a competitive candidate. All of these social media events will be live and interactive. You can follow the action on Facebook and Twitter.